Here is a roadmap for those who track OEW...my advice is to not get consumed with prognostications but to respect your signals and the market's action. We will continue to provide updates along the way. For now, the bulls have failed to generate an impulsive rally since the 2039.69 lows in early March (all three rallies in March have been corrective three wave structures that ended with lower highs). Thus, the onus remains on the bulls to hold key support areas AND follow with a strong impulse rally. Make sure you adhere to stops and have an exit strategy in place in case prices move against you on your swing holdings. 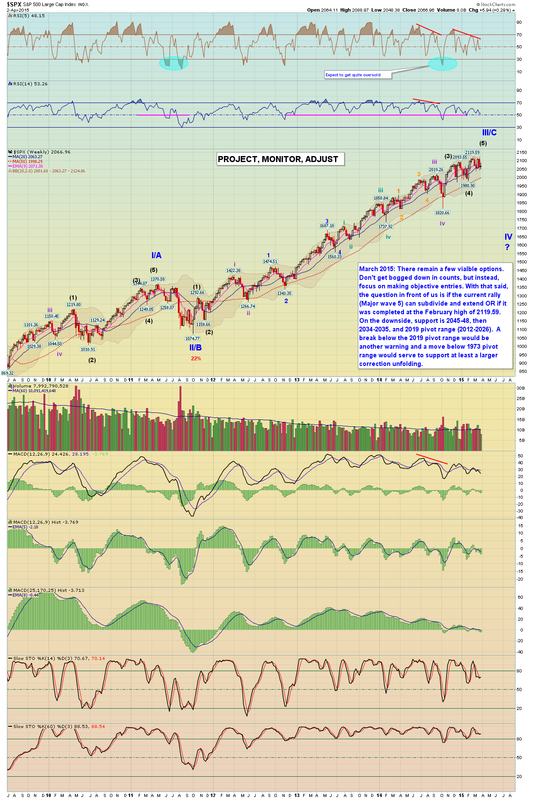 The market is once again at a key inflection point intermediate term. See additional comments on chart for specific support levels, etc.